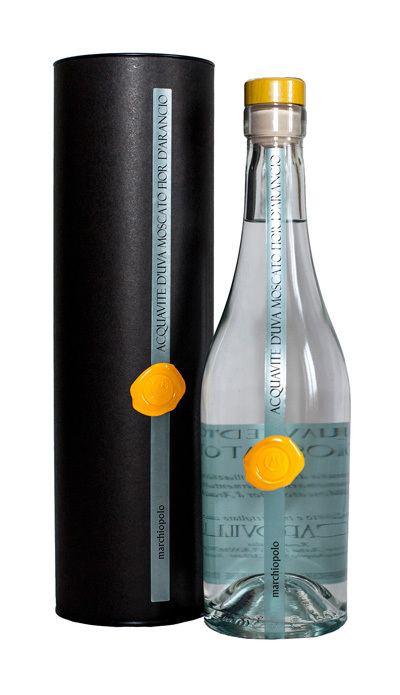 This spirit comes from the distillation of the Moscato grapes cultivated on Colli Euganei hills. Aromatic Acquavite with straight agrumes scent and great pleasantness. This spirit comes from the distillation of the Moscato grapes cultivated on Colli Euganei hills. Aromatic Acquavite with straight agrumes scent and great pleasantness. All spirits are produced without added sugars and aromas. They are obtained by slow water-bath distillation, refined and esterified in neutral tanks for at least two years and taken to the right alcohol with pure spring water from Monte Grappa.